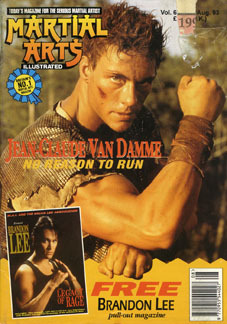 © 1993 Martial Arts Illustrated. Martial Arts Illustrated, August 1993 (U.K.). "Free Brandon Lee Pull-Out Magazine (Legacy of Rage special)".